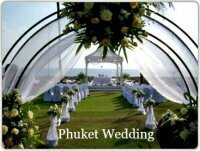 Destination Weddings in Phuket are increasingly becoming more and more popular every year. With so many beautiful wedding destinations around the world you may wonder why there are so many couples opting for a wedding on the island of Phuket? The Island has long been known as an exotic holiday destination and is well recognized as a romantic and affordable location. Like most areas throughout Thailand, Phuket is rich in culture and history. Thai culture has many wonderful traditions, these traditions can be included in your celebrations, making your wedding day extra special and unique. Weddings in Phuket are more private and intimate! Your special day will be much more relaxed. Allowing you and your partner more time to spend with close family and friends, in comparison to the large traditional western weddings. Your wedding day should be romantic, memorable and above all else a unique experience. There are many benefits of having your wedding on the island of Phuket. One major benefit is being able to save yourself loads of money, by combining both your wedding and a romantic honeymoon destination all in one. 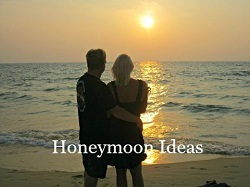 There is an abundance of romantic locations and venues in which you can choose from. By far the most popular venue for a wedding is on the beach, these ceremonies are usually held on one of the quieter beaches or you can opt to say your vows on an offshore island. However you may prefer to tie the knot on-board a Chinese junk, sailing through the waters of Phang Nga Bay or in a romantic garden setting or indulge and hold your ceremony in a luxury villa..
You can explore some of our wedding ideas, packages and themes, and you will see that the possibilities are endless for a romantic destination wedding in Phuket. 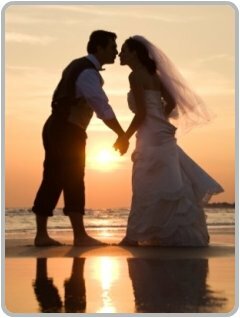 Getting married on the island will be a memorable experience, not only for you the happy couple, but for your guests as well. You and your guests will find Phuket is an easy destination to reach as there are direct and connecting flights from international destinations, making it the most convenient and enticing destination to tie the knot. Combine all of these features and you have the reason as to why so many couples are choosing to indulge in romantic weddings abroad. If you would like further information about planning your destination wedding in Phuket, please complete the contact form below and our wedding planner will be able to go through every detail with you.